Tour of Santa Barbara City Tour, Catholic Church, Court House. Tour Operates with Minimum of 4 Persons. 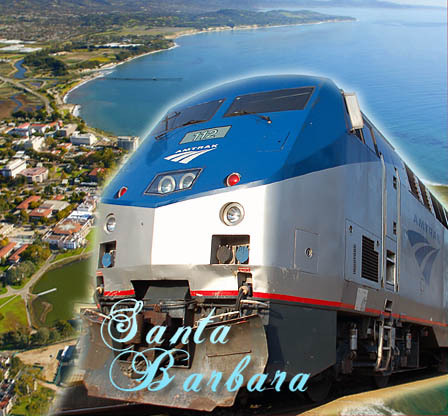 Leave Los Angeles in the morning to Oxnard California, then ride Amtrak's Pacific Surfliner (ticket not included) and enjoy the beautiful panoramic ocean view along the Pacific coast to Santa Barbara. Enjoy a leisurely stroll through the Harbor, visit souvenir shops and sea food market. In the afternoon, visit the Santa Barbara Courthouse - built in 1929 - it is perhaps the most beautiful courthouse in the United States and attracts visitors from around the world. Then visit one of the oldest historical landmarks in California - the Santa Barbara Mission, established in 1786. Return to Los Angeles by approximately 6:30p.m.